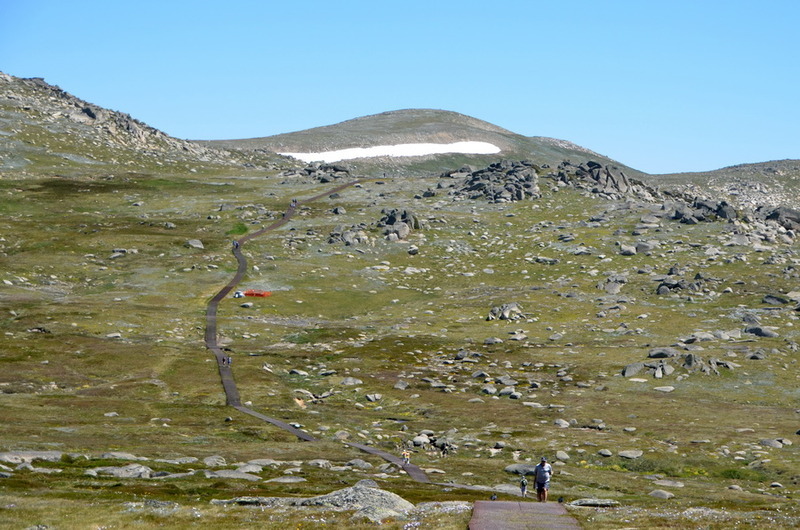 Mt Kosciuszko can be accessed from either Charlotte Pass (7.7km to the north) or Thredbo (5.5km east). 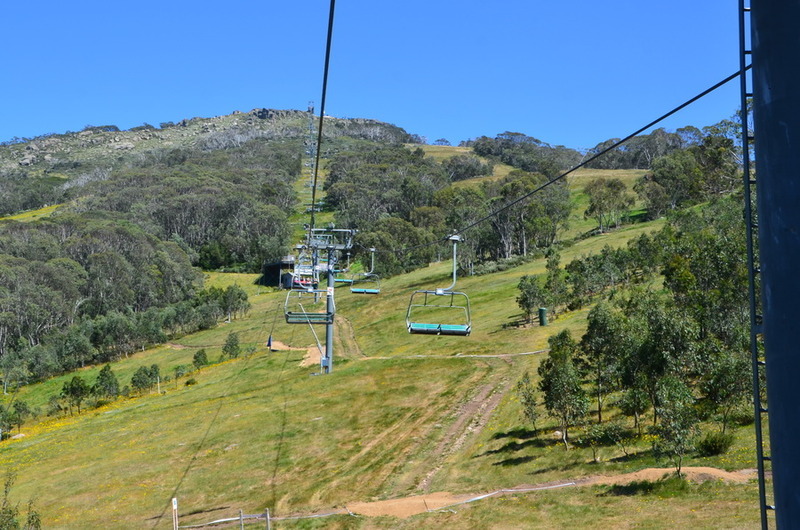 There are no fees, but to avoid a 1 hour hike traversing up, there is a $32- return chairlift ticket from the bottom of the valley at Thredbo to the top of the ridge (Eagles Nest) where the walking track starts. Best time to climb is from November onwards, which is still cool with snow on the higher peaks, but December to April is warmer with little snow. Daytime temperatures are usually around 15'C on the summit, but there is a weather station at Thredbo and accurate weather forecasts can be obtained from the Bureau of Meteorology. Accommodation is available at Thredbo, Perisher or Jindabyne. 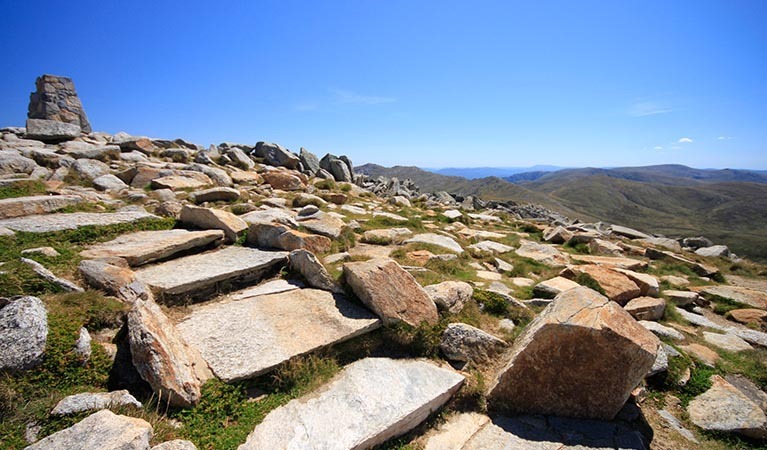 Use this relief map to navigate to mountain peaks in the area of Mount Kosciusko.